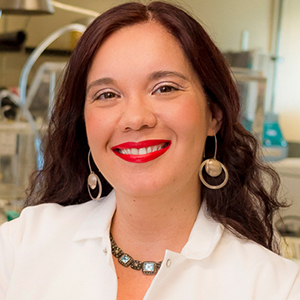 University of California San Diego, Mechanical and Aerospace Engineering professor Olivia Graeve has been named one of the “100 mujeres más poderosas de México” – one of the 100 most powerful women in Mexico, according to a Forbes 2017 ranking. Professor Graeve’s primary academic appointment is at the UC San Diego Jacobs School of Engineering, but her reach extends out to the full extent of the CaliBaja region and its 6.5 million inhabitants spanning both sides of the border. Graeve grew up in Tijuana, earned her undergraduate degree from UC San Diego and returned to campus in 2012 as a Professor in the Department of Mechanical and Aerospace Engineering. Graeve is the driving force behind the new CaliBaja Education Consortium, which is a collaboration between UC San Diego and 13 institutions in Baja California. The Consortium, launched in June 2017, will help researchers and students work together across the border that bisects the CaliBaja region. Through the Consortium, students from high school to graduate school will be able to do research and take classes both at UC San Diego and at various Baja California institutions. “This is a great experiment that is going to define the educational opportunities for students in our region,” said Graeve. The consortium builds on two related bi-national education and research projects created and run by Graeve: the ENLACE bi-national summer research experience and the CaliBaja Center for Resilient Materials & Systems. The ENLACE bi-national summer research experience at UC San Diego pairs up students – one from each side of the border for a summer of original research in world-class labs. The students work together in UC San Diego engineering, chemistry, physics and biological sciences research laboratories for 7 weeks. The students live on campus throughout the program. In addition to the laboratory research, ENLACE participants get many opportunities to experience daily life at a major research university while at the same building cross-border relationships with peers. At the launch of the Consortium, as reported by Carl Nettleton in Huffpost, Graeve told the talented students in the audience that from their ranks will come the future mayors of San Diego and Tijuana, and that they will have been friends since they were students. “That’s powerful,” she said. The importance of fostering cross-border connections is a consistent theme in Graeve’s work, both in the realm of high school and undergraduate education, and in her work to help build, strengthen and diversify high tech industry clusters in the CaliBaja region. “Building this connectivity on both sides of the border can promote economic development for the entire region,” said Graeve in June 2017 at the Consortium launch, as reported in the San Diego Union Tribune. Promoting economic development in the entire CaliBaja region is, in fact, one of the key aspects of Graeve’s CaliBaja Center for Resilient Materials & Systems. The CaliBaja Center for Resilient Materials & Systems brings together researchers from various disciplines, including materials scientists, nanoengineers and visual artists. Researchers work together across disciplines and industries to create materials and systems that can function at ultra-high temperatures, under extreme pressures and deformations, radiation, and other extreme conditions. The Center develops materials for a wide range of applications, including defense, nuclear, pharmaceutical and aerospace. In particular, the Center focuses on three areas, including materials and devices for extreme environments, creating scientists and engineers who are cross-border citizens, and developing environmental technologies and systems relevant to the CaliBaja region. Through these initiatives and others, Graeve is making contributions to many education, research and economic development projects that are much bigger than any one person. Contributions that are bigger, even, than any one country.